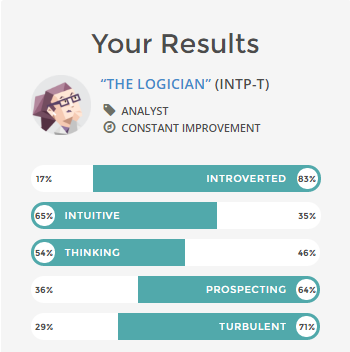 www.humanmetrics.com/personality/type (its actually just an alternative) lol. I've taken this before so I don't have to take the quiz. 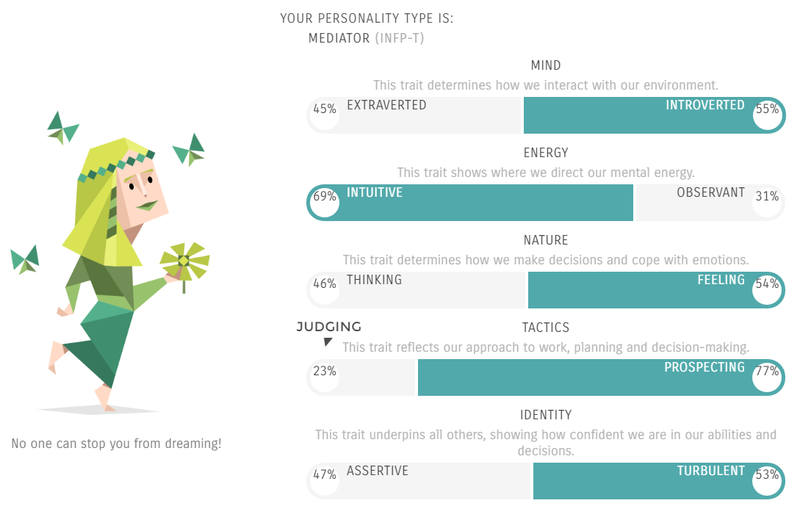 I always end up getting INFP.... But I'm pretty neutral with everything actually! Absolutely agree with the test's result. xP You're very Ti-Ne dominant. Sociopath Full Raid Gear represent.